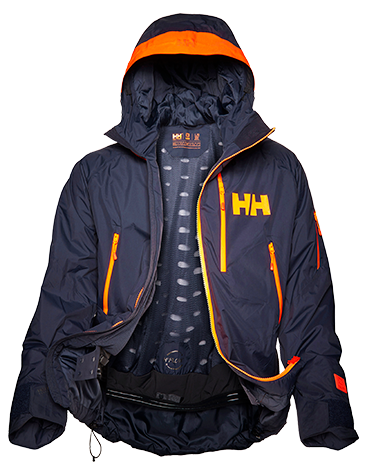 Helly Tech® is the waterproof and breathable outer layer between you and the elements. 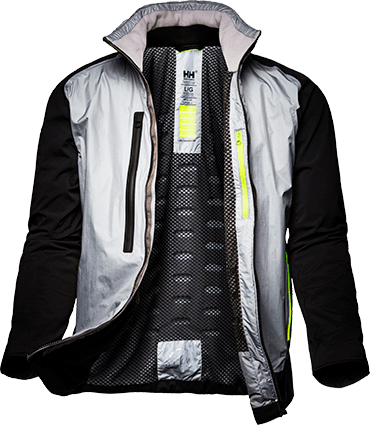 Its unique membrane will keep water molecules out, while allowing sweat vapor to pass through – keeping you dry from the outside and comfortable on the inside. 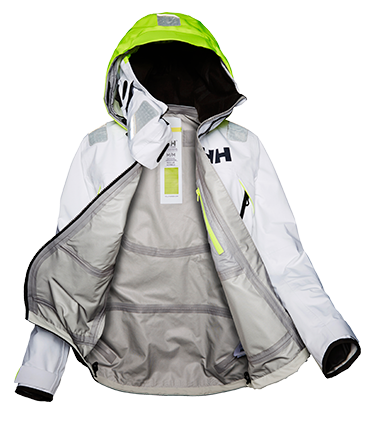 HELLY TECH® is a tough weatherproof outer layer, specially designed for the harshest conditions. It is a combination of a DWR-treated outer fabric, a highly breathable and waterproof membrane, and often a highly breathable inner fabric, mesh or lining. 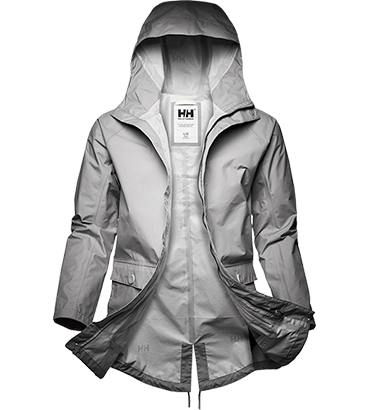 The robust outer membrane keeps water out, keeping you dry, even in the most extreme conditions. 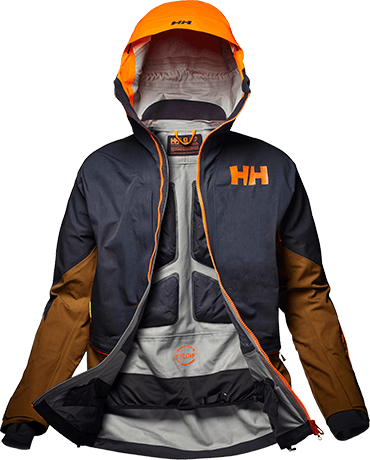 The outer layer protects you from powerful winds and piercing temperatures. The unique material allows sweat vapour out, keeping you dry and comfortable. 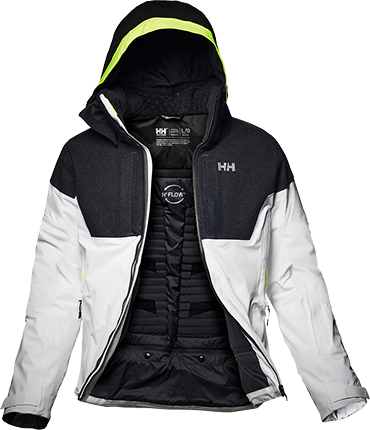 When I’m out there on the mountain, I couldn't live without the waterproof and breathable Helly Tech® fabric. I need protection from the elements to keep me dry and a breathable fabric so I don’t overheat. 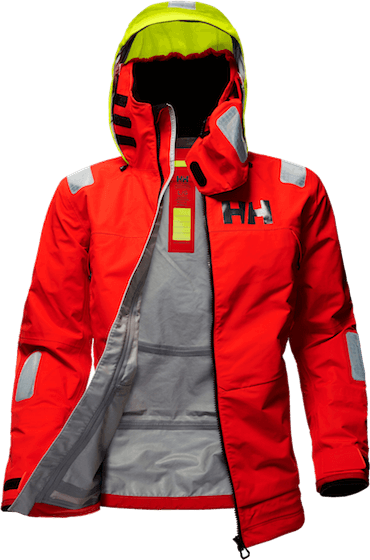 Our most durable and extreme offshore jacket was designed with feedback from the world's best sailors. Explore the ends of the world in the Ægir Ocean Jacket. 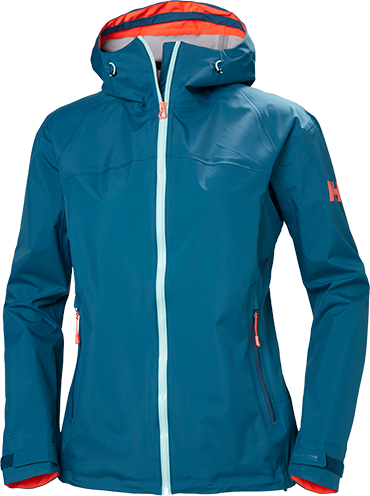 A lightweight, offshore jacket: the Women's Ægir Race offers extreme offshore protection in a lightweight construction. The Skagen Offshore Jacket offers comfortable wear and durable protection: perfect for the journey from Norway to Denmark, and the port in Skagen. 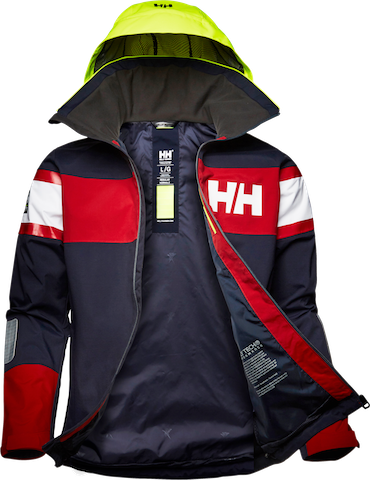 With the classic Helly Hansen marine stripe, the Salt Flag Jacket is an updated model with a timeless look. Stay warm, dry, and stylish on the water. The Odin 9 Worlds is designed for the most extreme explorer, for those who aren’t afraid to trek across the world. 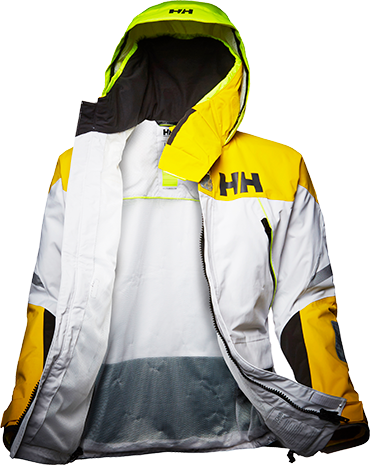 A Helly Tech® Professional membrane lays the foundation for this durable, smartly-designed, and high-performing jacket. The Women’s Odin 9 Worlds is designed for the most extreme explorer, for those who aren’t afraid to trek across the world. 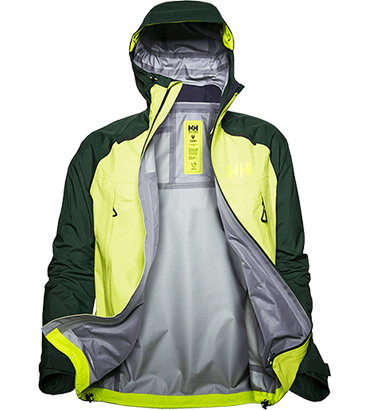 A Helly Tech® Professional membrane lays the foundation for this durable, smartly-designed, and high-performing jacket. The Women's Vanir Reisen is a durable shell jacket that was designed with all the right details: from helmet compatible hood to a functional and fitted cut and more. 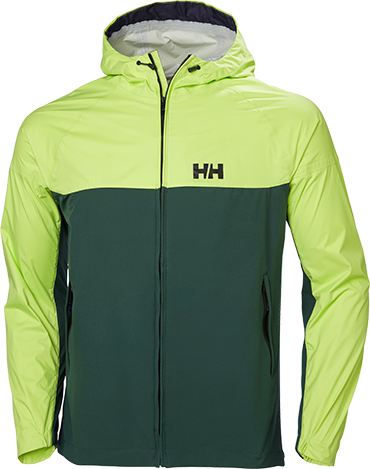 This highly breathable and waterproof hybrid jacket is a great choice for a variety of outdoor adventures. Another award-winning jacket, the Icon features the most cutting-edge technologies in a style-conscious design. 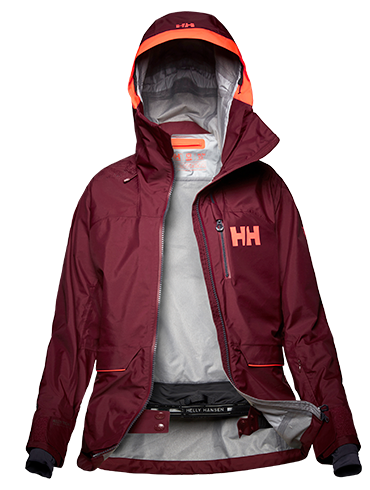 With sharp color blocking and wool detailing, this insulated ski jacket sits at the pinnacle of design and function. 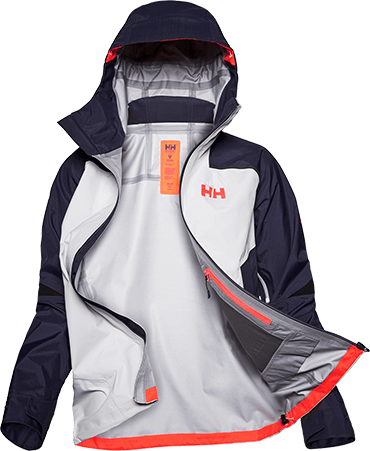 The award-winning Elevation Shell jacket features the Life Pocket+, a 3L FLOW membrane, and the innovative H2Flow™ temperature regulation system. 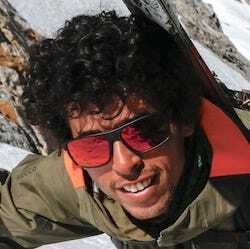 Everything you need for powder days and steep tracks. 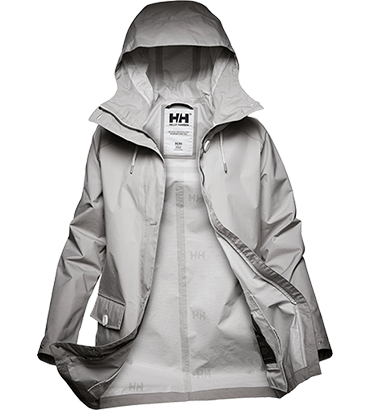 This iconic jacket, with a clean, Scandinavian silhouette, is ideal for back bowls and the back country. Technologies like H2Flow™ and Recco® will keep you the right temperature and feeling good. 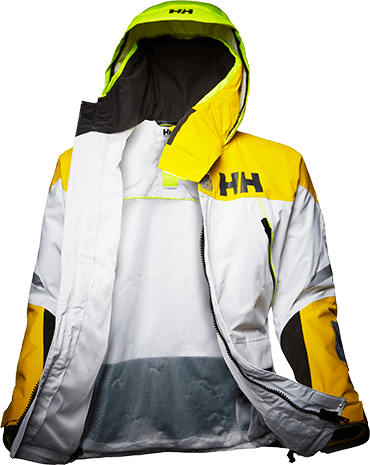 This freeride jacket has a relaxed fit and all the best tech-features. 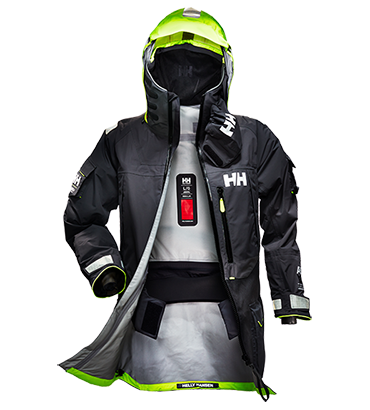 Amongst so much more, hi vis details and a jacket-pant compatible powder skirt will keep you warm and visible in the deepest powder. 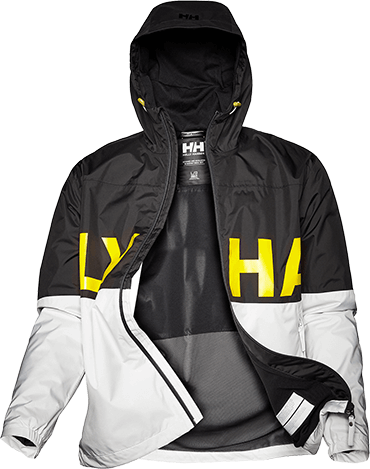 This lightweight and comfortable Helly Tech® Protection jacket is a nod to 90’s style. With sharp color blocking, an oversized logo, and modern technology, this jacket is the perfect everyday piece for the fashion forward crowd. 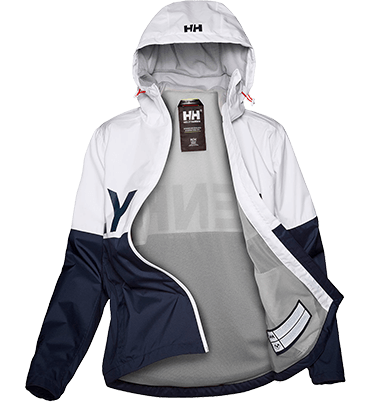 All the performance of a Helly Hansen raincoat in an understated style. Inspired by the five elements in Japanese philosophy, the Influences Raincoat is comprised of elegant detailing and a straightforward design. Extremely waterproof and breathable designs and constructions. For highly aerobic, extremely wet or unusually long-lasting activities in extremely harsh conditions. Highly waterproof and extra breathable sport specific designs and constructions. For a wide range of high performance outdoor activities during highly challenging, changing and unpredictable weather conditions. Fully waterproof, windproof and breathable fabrics and constructions. For all situations and weather conditions where protection from the elements is needed.